Victoria, BC – Swimming Canada is pleased to announce that Dr. Allan Wrigley will assume the new position of Integrated Support Team Director effective May 1. Wrigley, who holds a PhD from the University of New Brunswick in Biomechanics, joins the organization after having worked closely with the sport throughout his eight-year tenure at the Canadian Sport Institute Pacific. As Senior Sport Biomechanist and Performance Analysis Lead, Wrigley has worked extensively with multiple national teams and in particular top athletes at Swimming Canada’s High Performance Centre – Victoria and High Performance Centre – Vancouver. “This is a role that he’s assisted with in the past but it’s now become official and he’ll be directing from the Swimming Canada umbrella,” said Swimming Canada CEO Ahmed El-Awadi. Reporting to High Performance Director John Atkinson, Wrigley will be responsible for leading and coordinating all national science and medical programming across all high performance programs. Wrigley’s involvement will include working with Atkinson to develop the high performance plan and annual review processes, including Own The Podium reviews. He will oversee integrated support teams for national tours, junior tours, High Performance Centres and other high performance initiatives. 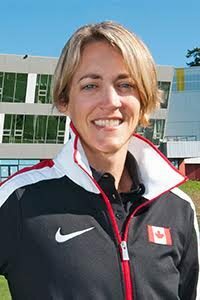 “Allan’s contributions to the Canadian Sport Institute Pacific and the various sports that he has provided service to are significant” noted Wendy Pattenden, CEO, Canadian Sport Institute Pacific. “He is an innovative and creative thinker who has provided a lot of technical leadership and mentorship to our team. We wish him all the very best in this new role and look forward to working with him in this new capacity”. Wrigley will remain based out of Victoria, but will travel extensively, including to Swimming Canada’s other High Performance Centres in Toronto and Vancouver.